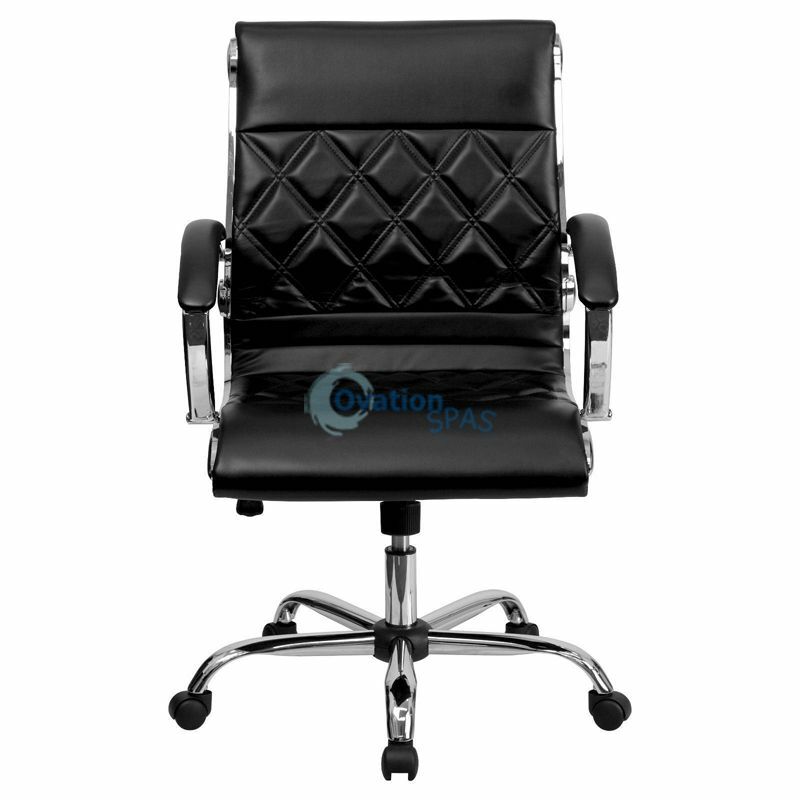 Free Shipping - This elegantly designed chair features durable leather upholstery with an attractive stitch design and a chrome frame that leads in attractiveness. A mid-back nail technician chair offers support to the mid-to-upper back region. 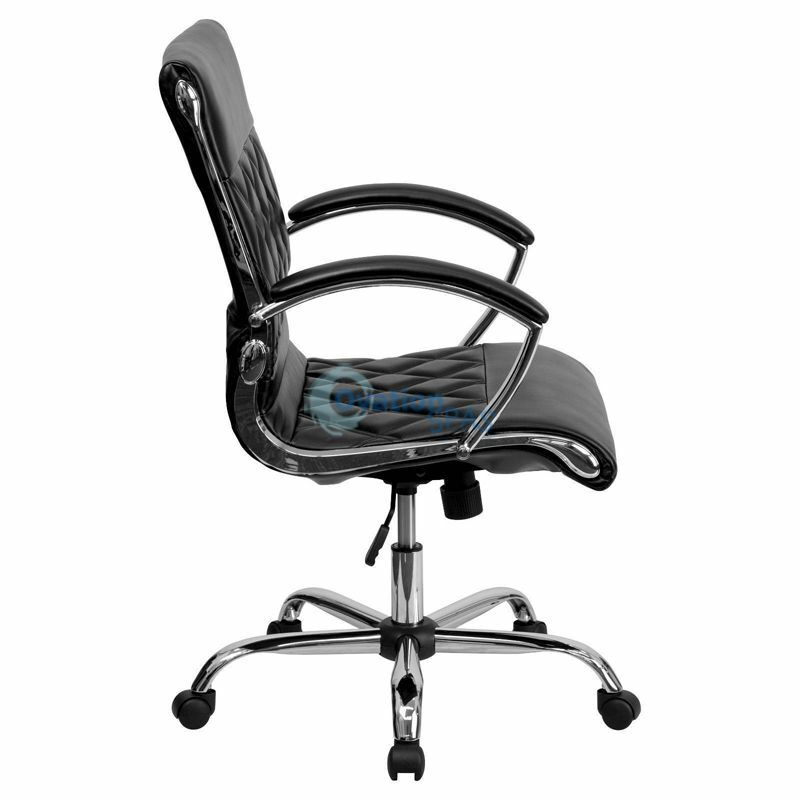 The comfort molded seat has built-in lumbar support and features a locking tilt mechanism for a mid-pivot knee tilt. 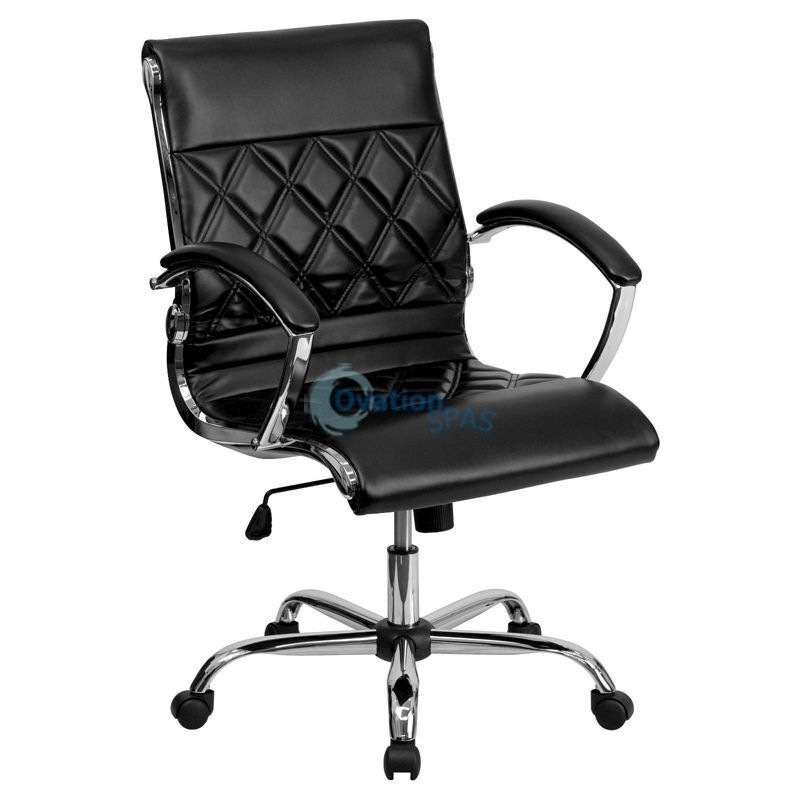 Chair easily swivels 360 degrees to get the maximum use of your work space without strain. If you're looking for a modern employee stool that provides a sleek look, then this chair will deliver.